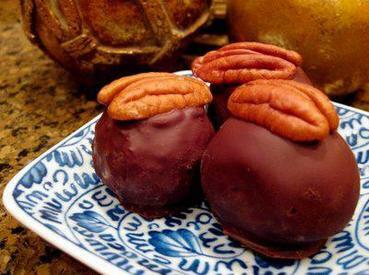 Today is Kentucky Derby Day, celebrate with these butter soft, sweet and creamy Kentucky Bourbon Chocolate Balls! Combine softened butter and powdered sugar until smooth. Add bourbon and mix until incorporated. Form the buttercream into 1 inch balls and place on waxed paper. Refrigerate until firm. Transfer buttercream centers to a Ziploc freezer bag and freeze for several hours or overnight. Dip into tempered chocolate and top with half a pecan.